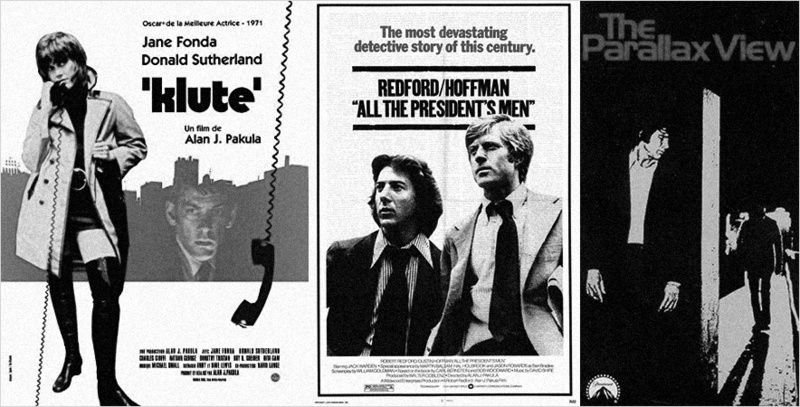 In Part 1 and Part 2 of this post I wrote about a number of 1970s American films which are variously imbued with a sense of paranoia, unease and surveillance and which reflected the domestic turbulence of the background in which they were made. 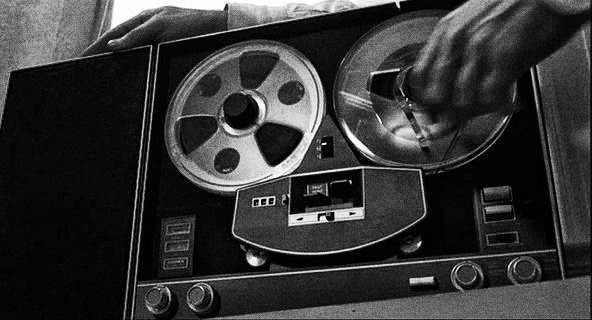 Part 1 focused on The Anderson Tapes (1971), Part 2 on Three Days of the Condor (1975) and I also mentioned The Parallax View (1974) and The Conversation (1974) as being two of the other notable examples of such films. There have been a huge variety of physical artifacts created which are connected to these films: posters, other promotional literature, different editions and formats of home releases of the these films etc, both period and contemporary items, some of which I collect in this post. Above and at the top of this post is the 16mm trailer for Three Days of the Condor. Such trailers I have something of a softspot for, partly for their compact physicality and also because as they were only produced in small quantities and intended for use within the industry, they tend to be particularly rare and so have a sense of being quite precious cinema artifacts. 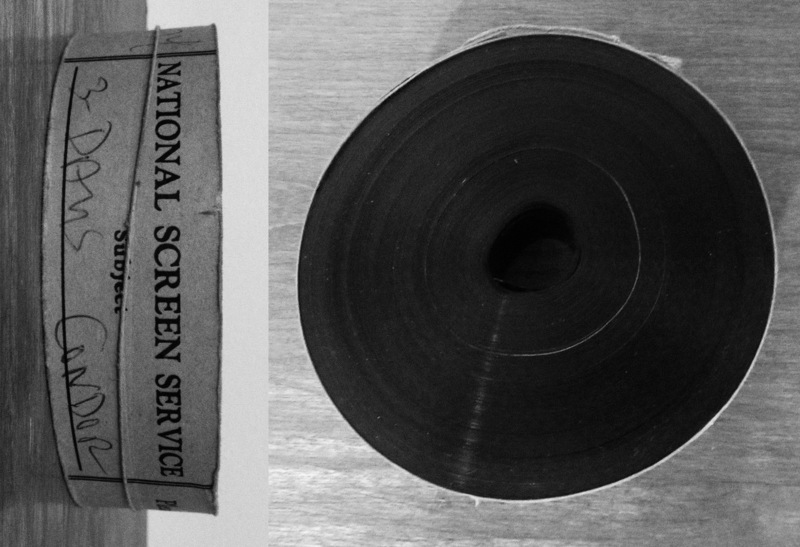 Along which lines, above is the 16mm trailer for the Parallax View. I’m also rather taken by the above left Super 8 for-home-projection version of The Anderson Tapes and its simplified illustrated artwork, which sort of looks like Sean Connery. Was it cheaper to have the artwork redrawn than license the original or is this from an alternate original cinema poster? Before home video recorders and laser disc players were affordable and/or widely used/available, these condensed, heavily edited versions were one of the only ways in which films could be watched at home and often featured for example a 2 hour film condensed into an eight minute running time, sometimes without sound. The 17 minute Super 8 version of The Anderson Tapes is also included as an extra on the Powehouse Films Indicator Series Blu-ray release of the film – which could be watched as both a curio and y’kno’, for when you’ve only got just over quarter of an hour in which to watch the film (!). The above Polish and former Soviet Union posters travel from (left-right) an almost playful illustrated take on The Anderson Tapes, a frankly deranged and more than a little unsettling interpretation of The Conversation, a quite surreal and also in parts very literal take on Three Days of the Condor and an almost boozy illustration for The Parallax View. I’m particularly taken by this poster for The Parallax View which seems to be channelling the further reaches of psych-like 1970s science fiction novel covers and could well be, for example, a poster for a contemporary cinematic conjuring and reimagining of a previous era along the lines of the manner in which Panos Cosmatos Beyond the Black Rainbow created a “Reagan era fever dream” of the 1980s. I shall (almost) end with some of the recent Blu-ray and DVD covers of the The Conversation, Three Days of the Condor, The Parallax View and The Anderson Tapes; the Region A only version of The Conversation has a nice polish to it and a design that puts me in mind of Berberian Sound Studio and its use of the physicality of period recording equipment. As a final note and in a “should you wish to read more”: Adam Scovell, the author of Folk Horror: Hours Dreadful and Things Strange, wrote an article called The Air-Conditioned Nightmare (a phrase used for a memoir by Henry Miller) for the November 2017 issue of the BFI’s Sight & Sound magazine, which focused on some similar areas of cinema as the three parts of this post and more specifically what has become known as director Alan J. Pakula’s “paranoia trilogy” – Klute, The Parallax View and All the President’s Men. At the time of writing that article can only be read in the magazine itself and is not online, the link for which is below.